« What Will GPU-On-The-CPU Mean for Analytics? Google is all about the algorithms, but algorithms are not customer-focused. They’re off doing whatever they were made to do, and if that’s not the right thing, whatever customer gets in the algorithm’s way is stuck. Google is legendary for its lack of customer support. If you happen to fall into the cracks where the algorithms can’t help you, you’re stuck. There are no warm bodies, no Zappo’s style people you can talk to. For a long time, Google has made it past this issue on the shear golly-gee-whiz-what-a-great-story-is-Google factor. It has been such an amazing company playing in such hip spaces that this made the company feel “real” and substituted for having customer focus with a more traditional connection with its customers. It’s a great brand, but a brand has to have real people behind it to hold up. It’s founders have done some things to the algorithms that are arguably very customer focused. For example, the discussion of how AdWords factors in “quality” and not just the dollars is one such case. It’s not enough, particularly at a time when there is a growing consensus that the quality thing is failing. Google is at a crossroads. It has reached the level of scale that triggers the antibodies and scares people. Our little reptilian brains are signalling Danger loud and clear as they always do when one entity gets too powerful. If Google doesn’t develop a more human side and get more in touch with its customers, it will wind up where Microsoft and Oracle are. Two companies that in many ways have great products, but that are very much not loved because they’re not customer focused. Side note on customer focus and not doing evil: don’t have the guy charged with fixing your spam problems airing your competitor’s dirty laundry. That’s vintage Microsoft and Oracle tactics, and that’s not what you guys are supposed to be. Take the high road always, or get comfortable with being another Microsoft or Oracle. You could argue that it doesn’t seem to have hurt those two companies much, but I disagree. They reached unstoppable momentum at a time when markets were far less frictionless and people were far less suspicious (partially because they hadn’t yet been abused by these behemoths). The markets now fight them at every turn. Microsoft seems to be succumbing, Oracle not so much because their Enterprise software business has far greater lock-in. Larry, take note: Google has less lock-in than either Microsoft or Oracle. Your empire came to you as a million iron filings seeking out a magnet. Think about what that means and play nice: there are other magnets coming along all the time. A VP of HR (horrors to an algorithms crowd and I can’t believe I’m writing this as an Engineer, but…) who is someone like Patty McCord at Netflix. Someone who will be deadly serious about making sure you have the right kind of customer-focused culture and the right kind of people to keep it vigorous. Heck, someone who might make sure your people leave, if they leave, for all the right reasons, and not just to move on to the next hot G00gle-like thing. A VP of User Experience: Algorithms do not have a User Experience, or if they do, it is either as brief as possible (welcome to original Google) or not very pleasant. Google wants to play in all sorts of spaces where algorithms are not sufficient and User Experience is critical. Find some awesome user experience executive and give them the absolute power to make the User Experience right. This person has to make designers and other UX peeps alpha dogs right alongside the algorithm geeks. It’ll be hard, but it’s essential. A VP of Customer Service who understands that the customer controls the conversation, that it’s about engaging with customers, and that your customers are people, and not just biotics who can be optimized into paying you more money by your algorithms. Get someone from a place with insanely great customer service like Zappo’s. You’re going to have to stand behind these people and let them change Google for the better. You’ll have to help them change the ways of many of your loyal cohort. It won’t be easy. There will be few of them and a lot of antibodies in the beginning. 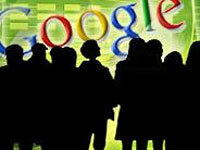 But if they can succeed, even just slowly at first, it will make a huge difference for Google. Google is a company that has been very very lucky. There, it’s out in the open. It isn’t an indictment of your skills and talent–when you have the combination of fantastic skills and talent coupled with fantastic luck, you get an incredible success. Bill Gates is absolutely brilliant, and Microsoft was incredibly lucky. Companies that come and then go suddenly may simply be companies that only had the luck and then it ran out. The problem with being so lucky is your model for success has luck baked in to a huge degree, you just can’t help it, it’s all you’ve known. But that means you’re waiting for lightning to strike. We can turn that into an algorithm if you like, so it makes sense to an algorithmic culture: you’re practicing Darwinian selection. You’re planting a thousand seeds to see which ones will sprout. You’re a mile wide and an inch deep, and that’s the dark side of waiting for lightning to strike. You’re not building businesses from the ground up very well. You throw something over the wall to the world that’s half-baked and if lightning doesn’t strike, you mostly ignore it. You don’t know how to overcome the gravity well if it is too deep and reach escape velocity through hard work, perseverance, brilliance, and a near-total lack of luck. You’re missing out on one of the advantages of being big: you shouldn’t need to count on luck so much anymore. You can’t count on it, not to maintain the growth rates that are baked in your stock valuation for years to come. You need a system that can overcome luck. This problem goes to your ability to focus on improvement until a product is sufficiently successful, or until it delights your customers. The world used to tease Microsoft about taking 3 releases to get any of their products right. They are a company that did not wait for lightning to strike. They built businesses through relentless improvement. Why are Google Apps still not 100% compatible with Microsoft Office? It isn’t that hard to do, but you haven’t done it. I wrote about it way back in 2008, and it still isn’t done. It isn’t like Office is even that much a moving target, yet you can’t hit it. I can only conclude it’s because you’re not trying. You’re waiting for lightning to strike. You’re being fatalistic and letting the market decide. You do a little bit, and if you don’t get an overwhelming response in a very short time, you move on. That’s how Google came to be, but it is not a model for building great companies and products. It’s just an eye-witness account of what it means to be lucky. Don’t depend on luck for your product strategy. Microsoft had that relentless execution, but they never had innovation. Their version of Darwinian selection was to let other companies spend their money to figure out where lightning would strike. When they saw the lightning strike, they’d mobilize, head on over, and try to take the lightning away from whoever had it in their bottle. It happened time and again for all of their successful businesses. They didn’t have the first or the best GUI. They didn’t have the first or the best PC operating system. They didn’t have the first or the best spreadsheet, slide software, C compilers, or most other things. Since you’re big, and if you decide to quite waiting for lightning to strike, there will be a tremendous urge to become Microsoft. You’re already doing it. You had to have your own browser. You’ve built a couple of operating systems (one seems a good idea, Android, the other leaves me shaking my head). You want to go after Microsoft’s Office franchise. You’ve got staff members talking trash about competitor’s spam. Etc. You can do all that, and you’ll continue to grow. But you can’t do that and be customer focused. You can’t do that and “Do No Evil.” Being a rapaciously hyper-competitive robber baron will tend to piss people off. Fred Wilson talks politely about what you should not do by way of destroying innovation. Heed his words. Do your own innovation, do it well, bring it to fruition, and delight customers. Apple is a great example. Let innovators grow their businesses to stable self-sustaining scale. Buy the businesses, keep them independent, and nurture them. Warren Buffet’s companies or Johnson and Johnson work this way. Oracle does not. Since they are a rapacious robber baron, they buy companies not to nurture them, but to milk customers who are locked in of their last IT penny. You don’t have their lock-in and you don’t want to be that kind of company, so avoid that path! It’ll be tough balancing these three. They will tend to fight against one another, against your existing culture, and against your tendency to want to just take what you think you’re entitled to as all big businesses do. It will take charismatic leadership, great people, a great culture, and a strong will. Nobody ever said it would be easy. Larry, you’re young and you have plenty of time and energy. You’ve built something special. Don’t lose it just to get bigger. This entry was posted on January 24, 2011 at 7:01 pm	and is filed under business, strategy. You can follow any responses to this entry through the RSS 2.0 feed. You can leave a response, or trackback from your own site.